Members Free. Non-Members £3.00 on the door. All talks take place at Dulverton Town Hall, Fore Street, Dulverton. 7.00pm for 7.30pm start unless shown otherwise. Nick is a garden designer, best-selling author, columnist and presenter on BBC’s Gardeners’ World. Previously he was head gardener at the Chelsea Physic Garden. His talk covers how to breathe life, style and good health back into a tired garden. Copies of his book will be available to purchase on the night, signed by Nick. This talk is an insight into lesser known gardens mainly around the south of England, the plants you will find in them, their history and their owners. An eclectic selection of some well-known but interesting bulbs as well as some that Chris thinks should be better known. From nerines to tulips he will talk about where they come from, who discovered them and why they might be desirable. This evening includes the AGM and Cheese & Wine event, doors open at 6.00 pm, to start promptly at 6.30 pm. see here. Paul worked as team leader in the Alpine section at RHS Wisley for 11 years. During this time he was responsible for the rock garden, alpine meadow, crevice garden and alpine display house. 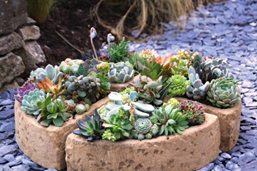 In his talk he will look at various selected groups of alpines, their cultivation and how best to grow them. What happens if you have a large area of hard-standing in your garden? 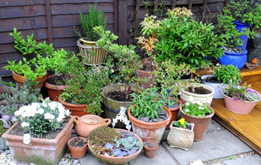 In this talk, garden designer Rebecca discusses how we can use all sorts of containers to combine what might be an ill-considered part of our outside space either to grow seasonal displays, more permanent plants or even a container productive patch. 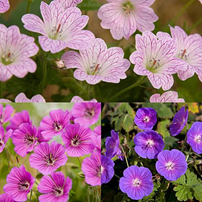 This talk will give us a good insight into the main species and varieties available of the adaptable hardy perennial, the Geranium. There is a geranium for any location and any soil type. “If in doubt, plant a geranium”. Anemones - from short woodland plants to impressive large Japanese anemones; an anemone for almost any garden. 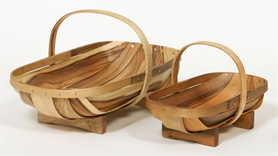 Carl will be demonstrating how to make a trug. Whilst performing this art he will be talking about the people he has met on film sets he has worked on. This will be a light-hearted talk and questions can be asked as he goes along. There will be trugs and besoms for sale afterwards This should prove to be a very humorous evening. There will be two elements to this presentation. 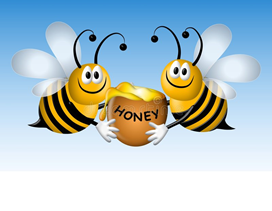 The first will be about Manuka honey and why it is so special. Then we will learn about CCD - colony collapse disorder and what is causing it and what we can do to assist the bees. Christine is head gardener at Barrington Court in Somerset and has a wealth of gardening knowledge at her fingertips. 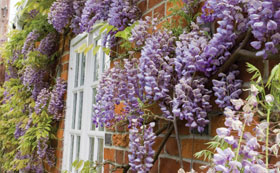 She will be telling us about suitable shrubs for growing against a wall and also talking about natural climbing plants. There was much anticipation before the first meeting of 2019 of the Dulverton Gardening Club. 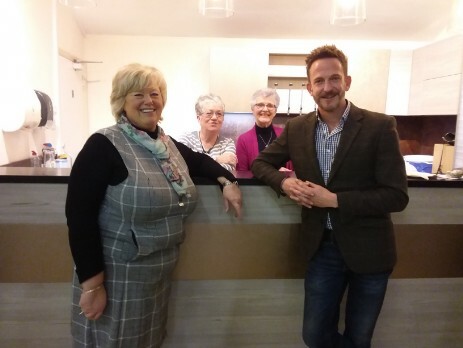 Most of the tickets had been sold and the Town Hall was nearly full for the talk by Nick Bailey, the garden designer and popular contributor to the BBC Gardeners’ World programme. His talk was entitled “Revive Your Garden” and a most appreciative audience settled back to listen to Nick talking us through the main parts of his latest book of the same name. Along the way we were entertained and informed with slides of plants and anecdotes of his gardening life. Nick talked us through ways to take stock of our gardens, renewing, relocating and reinvigorating the plants. He introduced some of his favourite and more unusual border fillers, those that we can “layer” under and around our existing shrubs and trees. Nick answered in great detail the many questions that followed; needless to say there was a queue for his book, which he signed. As always, the refreshments were extremely popular, and some new members were signed up. A most successful evening it was and the strap-line in Nick’s book – “How to bring your outdoor space back to life” – sent everyone away with renewed enthusiasm for the forthcoming season.